It was such a thrill to be asked to photograph Anna and Ollie's wedding which was a fabulous day. 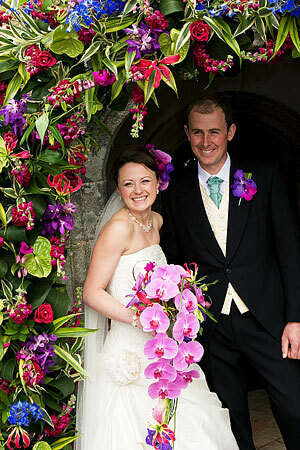 Anna is a highly respected florist specialising in wedding flowers; her business is called Wedding Flowers in Cornwall. You may have already booked Anna for your floristry as you read this; as you can imagine she went to town big time with her flowers; stunning orchids decorated her wedding marquee that overlooked the cliffs near St Agnes. I was so pleased Anna asked me to photograph her wedding, having photographed her sister Rachael's wedding to Matt in the past. It's great when people who are involved with the wedding industry ask me to photograph their weddings. The day started off at her parents house where I got some great shots with her mother, father and sisters aswell as Anna getting ready; as you can see from the photograph in this gallery she looked stunning in her beautiful wedding dress which Vus Bridal Boutique in Wadebridge supplied. It fitted to perfection and is a real testament to Vus excellent reputation for wedding dresses and bridal wear. I remember putting extra holes in Anna's shoe straps as they were a bit loose; this was a bit of an "oh no" moment which turned out fine. There's a first time for evrything; funny how this sort of thing sticks in your memory. The wedding was at St Allen Church which Anna had decorated herself and looked stunning; after a lovely ceremony we had some fun doing group photographs and family shots prior to going over to the marquee. 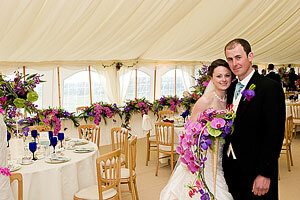 It was great to see Sharon and David, who own Boscundle Manor a lovely wedding venue near St Austell. They oversaw the wedding breakfast food with typical professionalism. The wedding reception was great; Anna, Ollie and their guests enjoyed a great afternoon. I had a good laugh with Becky of Truly Scrumptious and friends on our table. After the wedding breakfast ice creams for everyone - really good. More photographs with friends and family members and then into the evening celebration with everyone on their feet having a great time. This was such a lovely wedding to photograph; knowing Anna for many years and having watched her build her very successful business it was great to share in the excitement in the build up to and during her fabulous wedding to Ollie. Shah Photography are delighted to have been chosen by Anna who owns Wedding Flowers in Cornwall and Ollie, to photograph their wonderful Cornish wedding, especially as Anna is a top florist. Being chosen by brides who work in the wedding industry means so much and is a testament to the effort put into all we do. The bride's face says it all. 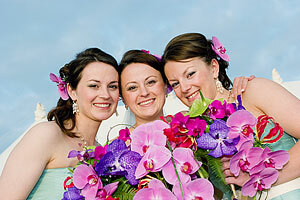 A great expression captured in a documentary or reportage style of wedding photography which is very popular. Much of our wedding photography is in this style although at Shah Photography we'll always surprise you, pleasantly of course.